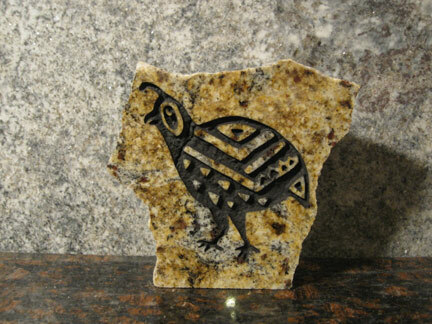 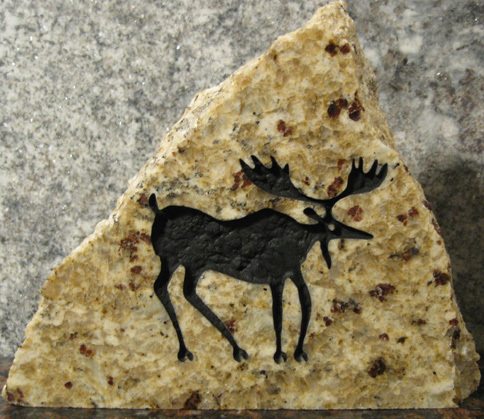 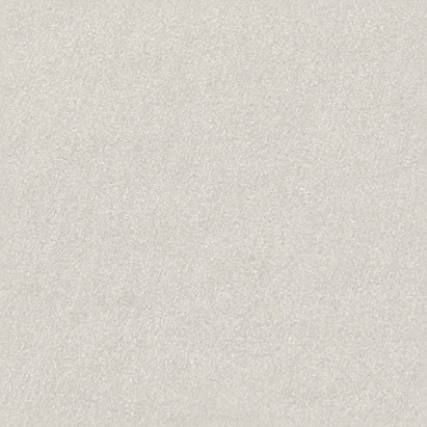 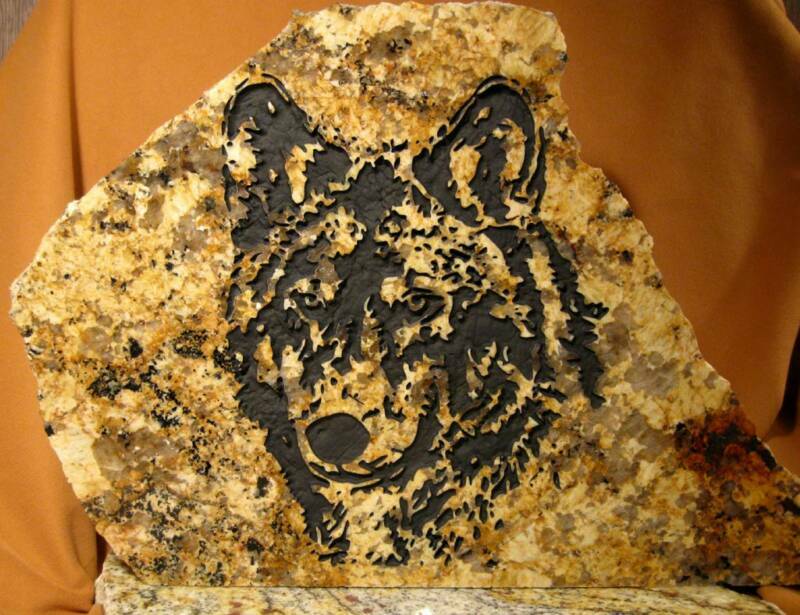 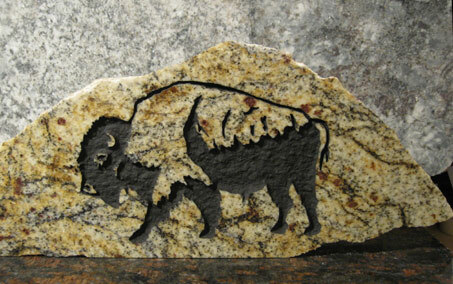 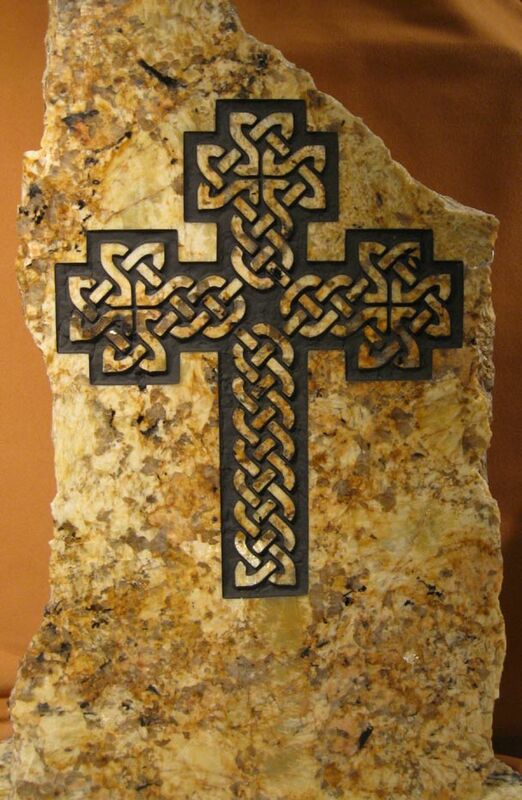 The polished surface of 3cm (1.25 ") thick granite allows us to etch amazingly detailed designs into exotic materials that are themselves natural works of art. 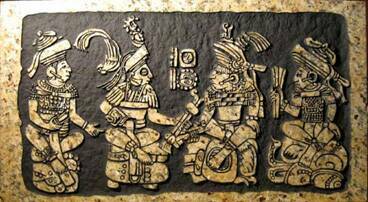 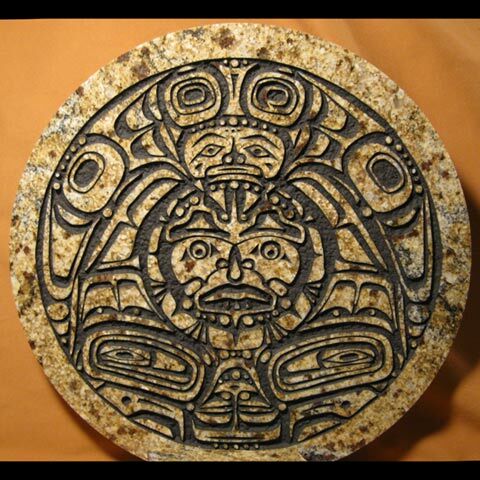 NW Coast design and Mayan glyph. 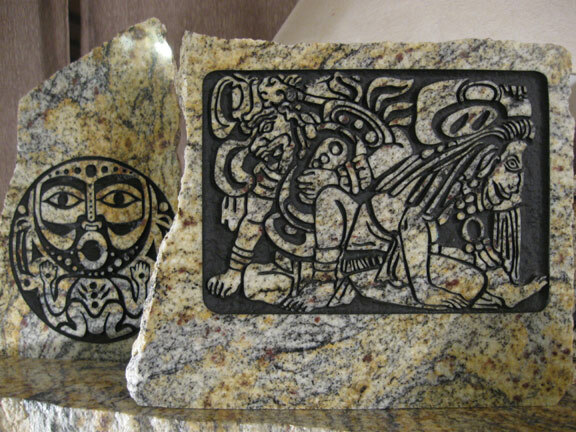 Both on Golden Tempest granite from Brazil. 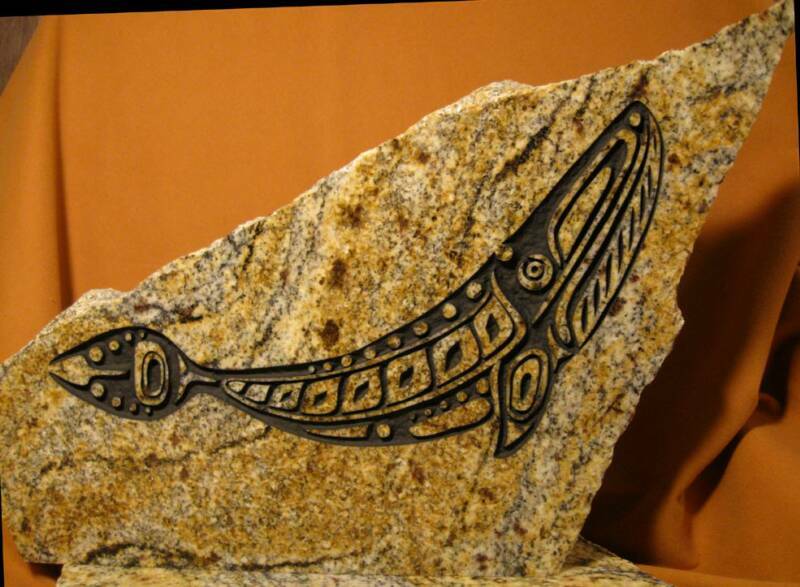 Sisuital (water monster) NW Coast 20"x7"
We can create pieces as small as paperweights and bookends and as large as full (5'x10') slabs. 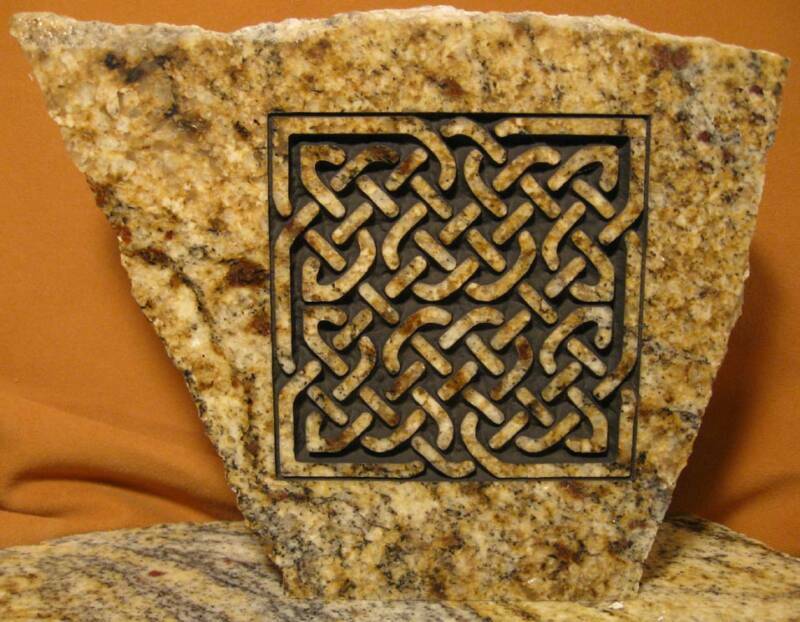 All dimensions indicate stone size. 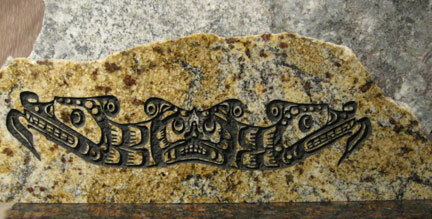 Altar Q Copan 14" x 25"